BOISSEAU, NICOLAS-GASPARD, author, notary, politician, and office holder; b. 10 Oct. 1765 in Saint-Pierre, Île d’Orléans, son of Nicolas-Gaspard Boisseau* and Claire Jolliette; m. 11 Jan. 1790 Catherine Gaspé, daughter of Ignace-Philippe Aubert* de Gaspé, in Saint-Jean-Port-Joli, Que., and they had 11 children, 4 of whom died in infancy; d. 9 March 1842 in the parish of Saint-Thomas (at Montmagny), Lower Canada. 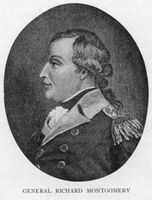 Nicolas-Gaspard Boisseau began studies at the Petit Séminaire de Québec but had to stop when the town was besieged by the Americans in 1775 [see Benedict Arnold*; Richard Montgomery*]. He returned to Île d’Orléans, where his father took charge of his education. He went back to the Petit Séminaire in 1778 and studied there until 1780. He then started working for his father, who was clerk of the Court of Common Pleas in the district of Quebec and clerk of the peace. Relying on this experience with his father, Boisseau sought a commission as notary from Governor Lord Dorchester [Carleton*] on 14 Jan. 1787. It appears that his years as a clerk could not replace articling, a normal requirement for candidates, and consequently he did not get his commission until 22 July 1791, after sitting for examinations and being interviewed at length. From 1787 to 1789, while waiting to be licensed, Boisseau wrote memoirs. These are essentially notes based on newspapers and on books he had probably borrowed from his father’s library, but they do reveal his interests. In them are to be found a little of the history of the world and of his own country, and a little geography, such as descriptions of Quebec and Montreal and of some remarkable physical features of the land. Boisseau had a predilection for information on the earth and skies. Consequently he comments on the climate, stars, volcanoes, storms, and even unusually heavy snowfalls. Only the political chronicle takes more space than the material on natural science. He relates the great political and military events, past or present, at home or abroad, and pays particular attention to the comings and goings of the governor and of Prince William Henry during his visit in 1787. Boisseau was interested in curious facts and amusing anecdotes. A few pages of ethnography describing courtship, rural customs, tree planting in May, and the production of charcoal and maple sugar furnish some worthwhile observations – if they are his own. Boisseau, however, says little about himself. He alludes to his health and his difficulties in obtaining his notary’s commission. He gives a brief self-portrait that is limited to a description of his physical features, as are the portraits he draws of his parents. This man of the ancien régime was less interested in people than memorialists in the romantic or modern periods would be. It may be that youth or an extrovert nature explain his silence about himself. Boisseau does include a score of letters from family correspondence, considering them worthy of publication in a personal work. But they are treated as of no greater importance than discoveries and inventions, a few statistics on shipping, population figures for the province given in the 1784 census, or the number of cords of wood used to heat homes in the colony. On the other hand, the memoirs show a new sensitivity to rigorous and objective organization and marshalling of facts. Boisseau’s discourses upon nature and the human condition are done in an ethico-philosophical style larded with fables, maxims, proverbs, and the sententious prose in vogue at the end of the 18th century, a style illustrated in France by his contemporaries Nicolas de Chamfort, Pierre Choderlos de Laclos, and Antoine Rivarol. He may have read La Rochefoucauld’s Maximes or La Bruyère’s Les caractères. But it is impossible to know whether extracts from these authors and other passages were simply reprinted in the newspapers of the time and gleaned or pastiched by the apprentice notary. In that case his interest in natural science and moral dissertation would not derive from a deep-seated bent but rather from a banal encounter with ideas regularly seen in the newspapers. 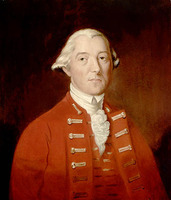 In the first elections for the House of Assembly, held in 1792, Boisseau was elected for the riding of Orléans, which at that time took in the whole island. He gave up politics, however, in 1796, Jérôme Martineau* replacing him as member. From then on Boisseau devoted almost all his energies to his profession as notary. He practised first at Saint-Vallier, and then in 1799 established himself in the parish of Saint-Thomas. He was appointed commissioner for the erection of free schools in the parish in 1803, commissioner to receive the oath of allegiance in 1812, and commissioner for roads and bridges for Devon County in 1817. He thus led a professional life some distance removed from public affairs on the provincial scale. From 1818 to 1820 he had financial difficulties which forced him to part with a good deal of his, property at Saint-Thomas and 500 acres in Nelson Township received in 1804. Nicolas-Gaspard Boisseau’s minute-book, containing instruments for the period 1791–1841, is at ANQ-Q, CN3-7. His memoirs are at PAC, MG 23, GV, 1. ANQ-Q, CE1-12, 10 oct. 1765; CE2-7, 12 mars 1842; CE2-18, 11 janv. 1790. ASQ, Fichier des anciens. PAC, RG 68, General index, 1651–1841. Quebec Gazette, 24 Feb. 1791; 6 Nov. 1817; 16 April, 16 July, 9 Nov. 1818; 7 Sept., 19 Oct. 1820; 4 Jan., 29 March, 31 May, 26 July 1821. F.-J. Audet, “Les législateurs du Bas-Canada.” F.-J. Audet et Fabre Surveyer, Les députés au premier Parl. du Bas-Canada. Desjardins, Guide parl. Langelier, Liste des terrains concédés, 1199. Wallace, Macmillan dict. P.-G. Roy, La famine Aubert de Gaspé (Lévis, Qué., 1907); La famille Boisseau (Lévis, 1907). Serge Gagnon, “BOISSEAU, NICOLAS-GASPARD (1765-1842),” in Dictionary of Canadian Biography, vol. 7, University of Toronto/Université Laval, 2003–, accessed April 24, 2019, http://www.biographi.ca/en/bio/boisseau_nicolas_gaspard_1765_1842_7E.html.